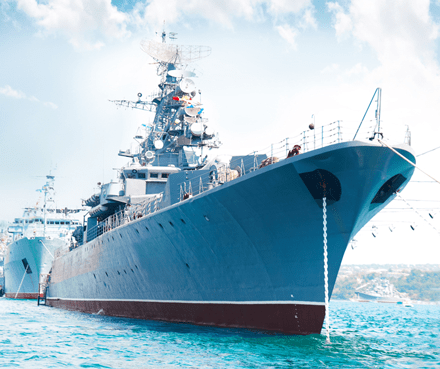 In recent years the marine and naval sectors have experienced a rapid and significant change in the technology being utilised and installed in modern vessels. Applications now typically require large numbers of components or sub systems interacting with one another in an integrated systems environment. Systems are becoming increasingly complex in order to provide the performance advantages sought by manufacturers and end user markets. As a result computing system designs need to perform specific tasks but also link systems together using computing and communication technologies. DSL have developed a solid reputation working in close partnership with marine and naval specialist manufacturers across the UK and Europe. Our work has involved us in providing both commercial off the shelf (COTS) and design solutions to meet the specific demands and rugged performance reliability required in Marine and Naval environments. All our design and development work is carried out in-house at our UK design centre such that our verification methodology covers every part of the process. All of our design engineers are fully trained to recognised IPC CID+ standards for circuit design and PCB design. This includes specific capability in Design For eXcellence (DFX), Design for Manufacture (DFM), Design for Test (DFT) and Design for Assembly (DFA).